Insert Yandex Metrika and Webmaster code inside you pages. Visit this product's website for support. Support the author with a PayPal donation. 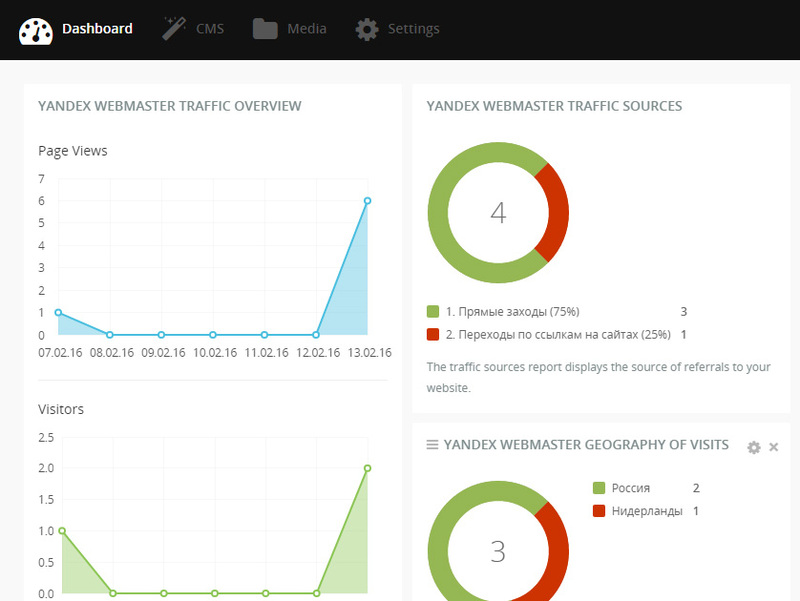 Insert Yandex Metrika and Webmaster code inside you pages that allows you to monitor key performance indicators of the site, analyze visitor behavior and measure the impact of advertising campaigns. To install this plugin you have to click on add to project. Just drop components on layout template. You should have an account with Yandex to use this plugin. You can create new account here. Please login to rate the plugin or write a review. Adds a new permission to hide the settings menu item. If you find bugs, please make a topic in the support section and I will try to fix them.